Double chins are a disheartening surprise and a blow to your self-image, making you feel fat regardless of how the rest of your body looks. It’s very difficult to lose chin fat – exercise and dieting don’t have much of an impact at all. 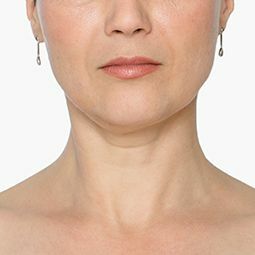 If you’re frustrated by your double chin, there’s hope in the form of Kybella! Kybella is non-surgical minimally invasive injectable treatment specifically designed to reduce the excess fat around your chin. Kybella has been approved by the FDA for treating double chins to cause fat loss. Injections of Kybella are a quick process – after one office treatment, you return to your daily routine and just wait for the results. Board-certified plastic surgeons Dr. Douglas Chin and Dr. Glen Lau can help you get the results you’ve been dreaming about. Call today to schedule an appointment!